It was a back-and-forth affair in today’s Special Olympics Unified basketball game. Team Orange pulled away in the final minute, punctuated by emphatic dunks by international professional basketball player Lorenzo Davis II. Former NBA All-Star Metta World Peace responded with a three-point shot to bring Team Yellow back within three points, but the buzzer sounded shortly after to end the game. Or, so the players thought. Everyone involved, from the international group of competitors on the court to the crowded stands at USC’s Galen Center, was not ready for the fun to be over. 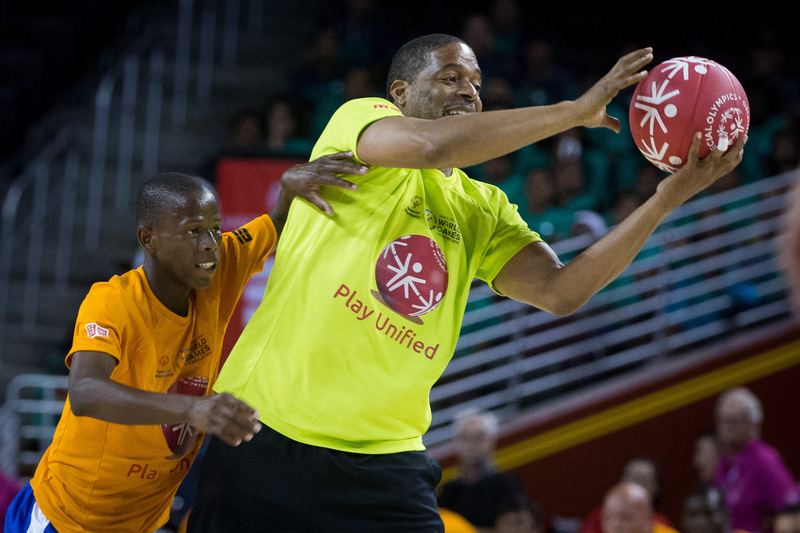 Unified Sports, like today’s basketball game, embody the inclusive spirit of the Special Olympics. 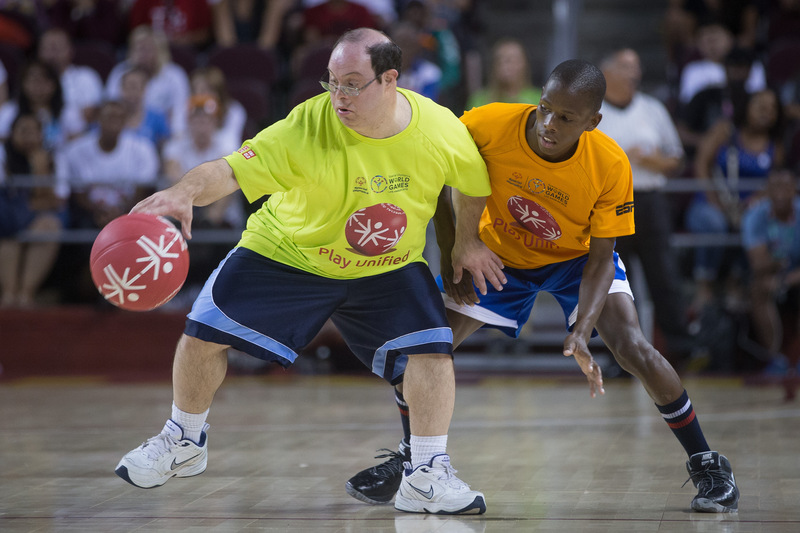 The game brought together Special Olympics athletes from around the globe with Unified Partners from professional sports, entertainment, and the Special Olympics community. Special Olympics athletes showcased their skills. Athletes hit deep three pointers, played hard-nosed defense, and demonstrated fearless physicality around the basket. The professionals were impressed. After the end of the second half, the game continued for another nine, closely contested minutes. Overtime offered a chance for the athletes to take a curtain call and for some new Unified Partners to take the floor. Following loud urging from the fans, Los Angeles Clippers Head Coach Doc Rivers even took a turn at point guard during the extra session.